Efficient farming operations throughout the world have relied on the dependability of the Schmeiser Till An' Pak. Maximum mobility; provides an expanded working width of up to 34' that can be folded to 14'10" for transport. Bolting on to each end of existing new-style Till An' Paks; these kits provide one-lever convenience for field to transport use. From Squadron Arms to 3-Point Hitches, Genuine Schmeiser Till An' Pak Accessories are designed to work efficently with your Till An' Pak. 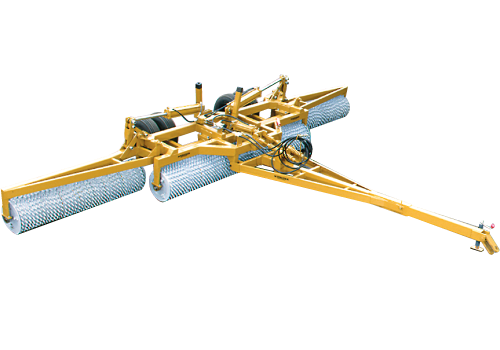 The Schmeiser Float is deisgned in matching widths to attach to existing Till An' Pak frames; ideal for cutting high spots and smoothing ground. Engineered to aggresively till one direction and provide firm packing in the opposite direction, Genuine Schmeiser Rings get the job done.